Sell your JEFFERSON AIRPLANE items on eBay ! Threatened of anti-Americanism for its anti-war stance and counter-culture championning, the Airplane countered with their next album (recorded a full year after COC) that they intended to call Volunteers Of America, but some charity organization blocked this, so the Airplane got revenge by displaying their patriotism in another manner: check the artwork and imagine the establishment's reaction. However, it was impossible for JA to repeat their incredible artistic success of COC without making a "son of COC", so the sextet went in a different folkier musical direction (returning to their roots really), but this album is overtly political: revolted by the R Kennedy assassination and the return to Republican rule, they just had allergies that had to come out one way or another. Starting out on the Kantner protest classic We Can Be Together and the traditional Good Shepherd (arranged by Jorma), the album is off to a deceiving start especially compared with the previous three albums, but if those tracks remain good (and very good), the real dud is the (thankfully) short countryish Farm. Saving the first side of the album is Grace's Hey Frederick, where Grace is reminding us of the previous album; she shines all the way through the 8-min+ of the track on her piano, while Jorma wails away and Jack (a bit under-mixed compared to the previous albums) is pounding the thunderous bass background. But even in this album highlight, there is a slight flaw as the group gets lost for about a minute while improvising, but catches up brilliantly. Another relatively weak track closes a deceiving first side. While the first side closes off one another weaker track, the second side opens with another absolute Airplane classic, the Stills-Crosby-penned (him again ;-) Wooden Ships, which takes to the magic of tape effect intros (creaking masts waves and seagulls) has a delightful crescendo with one of Balin's best singing performance, Grace on piano and Jorma pulling a superb solo. Just after this gem, comes another Slick-penned track which is reminiscent of the previous album and where Grace picks up her flute again (something she had not done in the previous COC), and reveals her anger, swearing and ranting openly. Casady is again providing some superb bass layers but is again under-mixed. After two such great tracks, there was hope for another good album, but sadly the folk-country spirit returns and the album ends in a tailspin, with a sub-par title track even if it oozes rebellious revolution, it is a noisy (intended of course) call to rise and protest. Kantner still being quite a political rebel up to nowadays even though he has had major health scares. Unfortunately the album fails to raise this writer's interest outside the three long tracks, and maybe one of the mistake done was to ignore two of the members' contribution: Balin as the founder and Dryden's experiments are what fails in this album. The five bonus tracks on the remastered album are a live late-69 concert excerpts, just a week before the disastrous Altamont festival, where bikers would beat up (and kill one of) the audience members and Balin also. Nothing really essential in the bonus tracks, but interesting to notice the speeded-up Somebody, the updated Plastic Lover and the extended Wooden Ships. One gets to see just how much of a rock band they were. The Jefferson Airplane in short two years had released 4 previous studio albums and one live one before this. I think this one is a close to perfection as they could have flown. While Bathing at Baxter's and Crown of Creation showed the bands psychedelic experimental side then Volunteers was one that showed off their songwriting skills more like Surrealistic Pillow. Except the songs were taking a bold new direction. Gone were the pretty love songs now we had some angry songs and wistful songs of a land being destroyed. The Airplane, Paul Kantner in particular, had become a political animal. The album starts off with one of the more angry songs entitled We Can Be Together. The song has many phases to it but mostly a declaration against society pitting younger freaks against the establishment. "We are forces of Chaos and Anarchy, Everything they say we are we are and we are very proud of ourselves" "All your private property is target for your enemy and your enemy is we"
The song contains some great vocal harmonies and shifts that take it beyond a standard song yet it doesn't go off on any tangents of psychedelia either. The second song is traditional hymn arranged by guitarist Jorma Kaukonen. He shines showing off a beautiful lead over acoustic and soulful voice. This is old blues not the one you grow up on in England in the late 60's. This is the blues of Honky Tonks and trains yet Jorma finds a way to bridge that with the present decade. The third song is a cute little country song with Jerry Garcia playing pedal steel guitar. The lyrics to this song have to be drug induced because the last thing I am sure I'll see is Paul Kanter doing what he says here "Well I gotta get back to work now and clear away some logs"
The next song is one of two Grace Slick compositions on the album. This one is some kinda treatise on a man or not as these lyrics could be interpreted in so many ways "Either go away or go all the way in" the music however is startling different than any thing else on the CD. It crashes gets softer and harder finally ending in a great jam. Graces voice soars on this song as well. She always said she wanted her voice to sound like a guitar and here she achieves it. The next song is Turn my Life Down the only composition written by Kaukonen. Sung by Marty Balin who's presence on this album is noticeably lacking. The vocals are inspired about this sad little introspective song. "I see the Shadows, Softly Coming, taking me into a place, where they turn my life down:" In the middle Jorma shifts the song from one direction to the other and plays an upbeat solo at the end of these very somber lyrics. I am only to comment on two more songs on the CD and they are really the two that stand out as the Proto-Prog in my opinion. They are a cover of Wooden Ships although cover may be incorrect because Paul Kantner added some lyrics to this and is credited with writing the song as well as David Crosby and Steven Stills. Anyway this song is really a mini epic. The first part like a dialog sung with three different voices into a sort of chorus. After a couple of verses Jorma Kaukonen gives probably his best solo as member of the Airplane an one that reminds me of something Steve Hackett might have done. Not a lot of notes but a soaring almost synthesized sound that really captures the spirit of the song. The last one is Eskimo Blue Day written by Slick again. A really haunting intro that breaks into a very jazzy song structure. It has a completely different kind of musical break and solo that returns to the song for one final verse. Again Slicks voice is used as another instrument here. 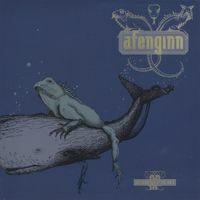 To me this Album was the definition of Proto-Prog. It is almost there, the songs seem to go in that direction but just don't quite hit the eloquence that the English bands would achieve in this year of 1969 an beyond. Still an Album worth noting in the history of the whole thing. 4 stars. One note the recent re-release of this CD contains 5 songs from the Jefferson Airplane in the late 60's and they are worthy bonus tracks. The Airplane reached maturity with this last good and highly accomplished album. Grace Slick sings more beautifully than ever with great technical mastery and lyricism. "We Can be together" and "Good Shepherd" are two nice classic Airplane songs. "The farm" is a delightful "return-to-earth"/ode-to-nature tune in a country vein enlightened by piano. "Hey Fredrick" is the longest and most progressive track with its fantastic instrumental part dominated by a beautiful piano/guitar instrumental part, the end especially is beautiful to cry. "Turn My Life Down" is another little gem with male vocals and sublime female background vocals. "Wooden ships" shows a lyric's greater textual dimension: this epic song tells the story of survivors from a nuclear war. Grace Slick's lyricism reaches a peak on the intense "Eskimo Blue Day", with a vibrato giving goose-flesh: an absolute must. "Volunteers" is definitely the most sophisticated and delicate Airplane album with Grace Slick at the top. A fantastic line-up as well with the west coast cream: David Crosby, Jerry Garcia, Steven Stills as guests.Less crazy and psychedelic than "After bathing at Baxter's", deeper than "Crown of creation", this beautiful album deserves more attention. The remastered CD release contains good live versions. "Volunteers" is the last album done by the most creative and famous line-up of the band. Due to that fact and to the noticeable cracks within the group (Dryden and Balin would soon leave), as well as the "political" overtones that followed the band around this time (Woodstock performance), the album's musical and artistic value is often overlooked. Opening and closing tracks, "We Can Be Together" and "Volunteers", are actually the only ones that have outright political stance, calling for "revolution" and "dropping out" of the establishment. Notwithstanding a somewhat dated nature of these protest messages, both tracks are excellent and feature the last important composing (and singing) roles of the founder Marty Balin. Then, we have three songs that are amongst the Airplane's best: traditional "Good Shepherd" is arranged and sung by Kaukonen, featuring some amazing guitar licks; "Wooden Ships" co-penned by Kantner, David Crosby and Stephen Stills (who both were present during recording sessions) is a wonderful anti-war mini-suite with perfect vocal harmonies; and "Eskimo Blue Day" that is sung by Grace Slick, invoking in certain details the previous psychedelic themes (totally crazy and mysterious lyrics with slow beat and recorder-flute passages). As a complete novelty, this album contains two tracks that are pure country-rock. On the surface, "The Farm" sounds very much like THE GRATEFUL DEAD in their country- rock moments (see "American Beauty") while Jerry Garcia's pedal-steel only enhances this sensation. Even Paul Kantner's voice sounds like Bob Weir's! "Song for All Seasons" on the other hand, draws influences from the lazy and boozy, honky-tonky Gram Parsons' "Cosmic American Music" concept (see THE BYRDS "Sweetheart of the Rodeo"). And just as an average country-hating prog-rocker prepares to dismiss this album completely, suddenly the lyrics of these songs catch his attention - they are all but straight! The former track sings about wonderful "living on the farm, where the neighbour rides a toad", finishing with mockery sounds of cows mooing...! Hmm, White Rabbit meets Pink Floyd?! The latter track actually tells a story about splitting of a rock'n'roll group after they reached fame. Marty Balin, Spencer Dryden and even Jorma Kaukonen are easily identifiable in the lines. A self-satirising atmosphere is stressed by "drunken cowboys" harmony vocals. "Hey Fredrick" is a boring 8,5 minutes unsuccessful Grace's work with a wild instrumental jam in the second part which saves the show. Along with Kaukonen's "Turn My Life Down", it is the weakest moment on the album. Overall sound is much more mellow and soft than on earlier works and is dominated by fine piano chords played by studio session maestro Nicky Hopkins. Still, vocal performances and Kaukonen's solo guitar parts heard on this album rank among their best ever. Indeed, his revolutionary and highly original approach to electric guitar is rarely met, so one wonders how come this genius musician never reached stardom that he deserves. "Volunteers" certainly suffers from a few not very consistent or engaging moments, especially when compared with previous three wonderful studio works. But it still contains enough excellent performances that keep it high in the major league. 1969. This is the year for the Airplane. They will blow out the world with their incredible Woodstock live set of which only "Volunteers" will appear on the soundtrack, but more tracks will be available on "Woodstock II". Today, it is almost possible to reconstruct their whole set (which I did). This album is the more accessible to date. Not too much psychedelic any longer (with a few exceptions). More rock oriented as in "We Can Be Together", "Hey Fredrick", "Eskimo Blue Day" and "Volunteers. We'll even get two country numbers ("The Farm" ... logical, no ? and "A Song For All Seasons"). Both are very poor tracks. "Hey Fredrick" is the first great track. Well, it's the first featuring Grace in the lead vocal, so I might be biased, you know. I have always been really charmed with her voice (I should even say hypnotized). It is a very powerful song : on top of Grace who is just fabulous we get loads of guitars displayed here. The track develops further on to be a pure solid rock number with a great and long guitar break. It is one of the rockiest studio number from the band (clocking at 8'30"). The guitar part reminds me of the live version of "Southern Man" from CSN and Y available on "Four Way Street". One of the highlight of this album and one of my favorite one. We'll have a bit of reminiscence of old psyche with "Turn My Life Down". The psyche mood will also be maintained for the following track which is one of the most interesting song here: "Wooden Ships". It is a combined effort from Crosby, Stills and Kantner. For legal issues, Kantner could not be credited on the Crosby, Stills & Nash debut album. Stephen and Paul contributed for the lyrics while Graham wrote the music. The Airplane version is brilliant and quite different for the CS&N one : more spacey and piano- oriented than the live version, but rockier than their studio version. The addition of Young during the Woodstock version of this song is by far the best I know (but I haven't heard the one of the reamastered version of this album). As many others, C, S, N & Y will perform the show of their lives (it applies to the Airplane as well). Vocals here are really subtle and full of emotion. "Eskimo Blue Day" is another highlight : Slick is as great as usual and gives this track an incredible flavour. Strong psyche and rocking number. Background guitar work is very efficient. This number is rather complex and the rhythm is at times truly wild. The closing number "Volunteers" is another Airplane anthem. In 1969, this was quite a revolutionary number : a protest song, really. Remember, the anti-Vietnam war feeling is at its peak in the US (Woodstock being the climax of course). Lyrics of "Volunteers" are completely in-line with the reigning mood : hard, bold, provocative. Unfortunately, it is too short (just over two minutes). Same applied already to another one of their greatest number "White Rabbit". I like this album very much. I think it is a good way to approach the band. There are of course two weak tracks (and a short instrumental, completely useless "Meadowlands") but globally it is a very good album. Only second to "Baxter" IMO. 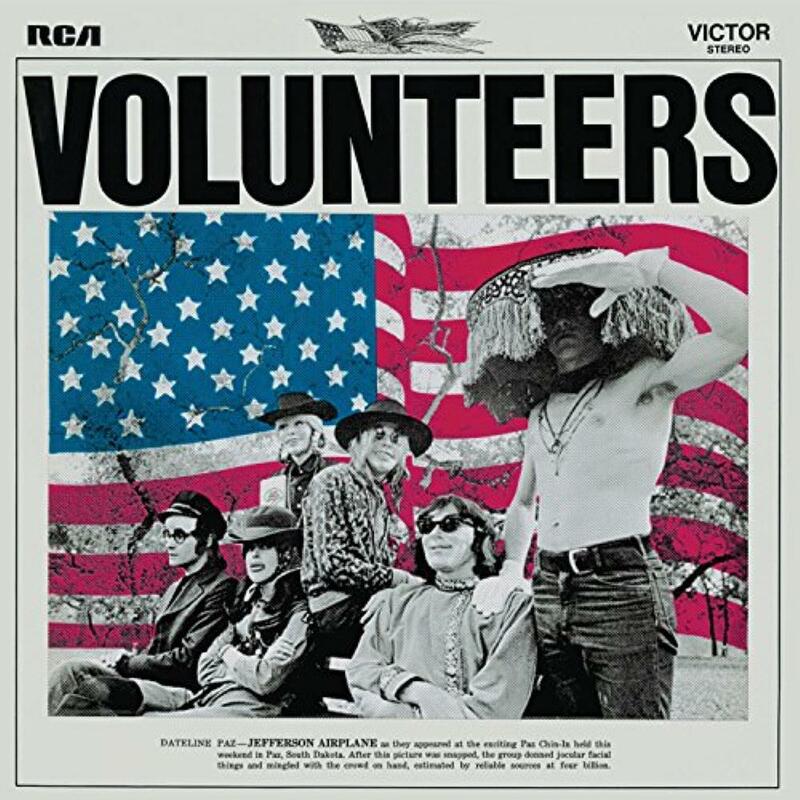 Volunteers is the fifth full-length studio album by American psychadelic west coast rock act Jefferson Airplane. The album is notable for being one of the first albums recorded on a 16-track recorder ( something almost thought of as futuristic in those days). The album was another success for the band and within two months of its release it went gold. 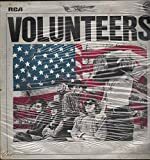 Volunteers would be the last album to feature original member Marty Balin ( guitar, vocals) and drummer Spencer Dryden. The music is rock with some psychadelic elements. The band did move a bit away from that sound on the album though and Volunteers is more of a straight rock album IMO. The music is as always inspired by blues and american folk as a basis but the band has evolved beyond that over the last couple of albums. 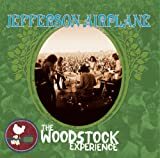 There are some really enjoyable songs on this album and favorites of mine like Hey Fredrick, Wooden Ships and Eskimo Blue Day are really excellent examples of Jefferson Airplane when they are best. There are a couple of country inspired songs on the album in The Farm and especially A Song For All Seasons that I don´t enjoy much though so not all is good to my ears. The lyrics are generally very political ( anti-Vietnam, anti-authority). The vocals are powerful and biting as ever and the musicianship is overall excellent. Something I really enjoy is Jorma Kaukonen´s quite fierce guitar playing. A notisable guest on the album is pianist Nicky Hopkins who appear on many tracks. I´m not happy about his appearance though. He´s a good musician but I enjoyed Jefferson Airplane´s sound better without the piano. The production is good but I actually enjoyed the sound on the two predecessors After Bathing at Baxter's (1967) and Crown of Creation (1968) more. 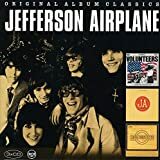 Volunteers is an enjoyable album by Jefferson Airplane and I will rate it 3 stars. It´s not my favorite from the band but definitely a worthwhile purchase. It's hard to classify 'Volunteers' as far as the dominant musical genre it represents. 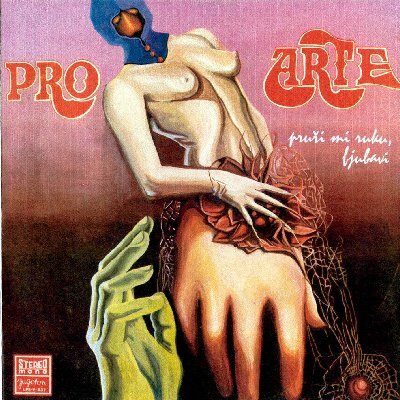 While the band clearly had at least developed a passing interest in the popular American country- rock wave of the latter sixties as evidenced by at least half the songs on 1968's 'Crown of Creation', they never quite lost their reputation as an acid-rock counter-culture band and at least with this album also adopted a strong protest-laden folk-rock vibe, albeit a pretty musically heavy one. 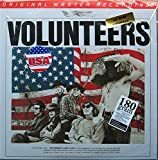 Much has been made of the smattering of four-letter words and biting anti-Vietnam, anti- administration themes spread liberally throughout 'Volunteers'. Most of this would be considered quite tame today, but in fact the band had faced censorship by their own label for less egregious lyrics on their first studio release less than four years prior. For the most part the lyrics made it into the final studio release though, and by all accounts youth across the country did not turn to pillars of salt upon hearing them. The country-rock mood is as strong on this album as it was on 'Crown of Creation', perhaps even more so, and there are undeniable folk-rock leanings on several tracks including the anathematic "Turn my Life Down" and the immortal Crosy, Stills and Kantner composition "Wooden Ships" with its post-apocalyptic vision of horror and renewal of humanity. While the CSN&Y version is considerably more well-known, the Airplane rendition seems to do a better job of capturing the reflective mood of the words without becoming lost in morbid emotion as the CSN&Y version tends to do. Beginning with their third release the band showed a tendency to utilize friends and studio musicians to augment their sound, sometimes even involving them in the songwriting process itself such as with "Wooden Ships" and Kantner composition "The Farm". 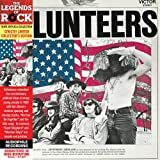 With 'Volunteers' that trend expanded greatly with no fewer than ten guest musicians including Stills, long-time band friend Jerry Garcia on slide guitar, and the five-piece all- female folk vocal group Ace of Cups. The additional instruments and especially the broader range of vocals help give the album a depth that was lacking on prior efforts, and in particular the slide guitar and second piano player (Nicky Hopkins) on several songs are welcome additions. While several tracks contain rather biting protest lyrics there are exceptions like the reflective "Song for all Seasons" and the popular Russian folk instrumental "Meadowlands", delivered here almost solely on organ by Slick herself. By now the band seemed to accept that their two hit singles from 'Surrealistic Pillow' were aberrations, and they wouldn't have another major radio hit until their metamorphosis to Jefferson Starship some years later. There was only one single from this album, the brief and biting title track that never really took off and was in some respects overshadowed by its more restrained and uplifting b-side "We Can be Together". This would also be the last song Paul Kantner and Marty Balin would collaborate on thanks to the numerous lineup changes that would begin following the album's release. This would be the last album with the classic lineup of the band, and by the time they released 'Bark' two years later they would both look and sound much different. Several side projects including Hot Tuna and Kantner's sci-fi epic that would arguably become the first Jefferson Starship record began to eat away at the fabric of the band, and they would quietly fade away less than three years later. There's not much to dislike about 'Volunteers', unless you are a committed right-winger I suppose. That said there's not much here that's exceptional either, other than possibly "Wooden Ships" and the pleasant but rather pedestrian "Song for all Seasons". So three out of five stars seems like the right rating, although for anyone who is interested at all in Tet-era Vietnam protest music or the last vestiges of the sixties country-rock revival should definitely check this album out. If you're not familiar with the latter parts of the Jefferson Airplane discography this one might just surprise you. 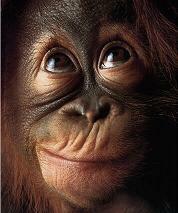 "All your private property is target for your enemy. And your enemy is we." Great line Paul though it does make me wonder what your bank balance is these days. After the letdown that was "Crown of Creation" the Airplane came back with their last truly great album "Volunteers." Things had changed so fast in just a few years. Musically the band were perhaps influenced by their friends in the Dead, who had also moved from hallucinogenic explorations to a cross of harder rock tempered by a healthy dose of country-flavored hayride music. But while the Dead were happy to keep the lyrical themes mostly wide-eyed and road-ramblin', Kantner was getting angry and serving up plenty of good lefty rhetoric as noted at the top. Whatever currents were tossing them about in the chaos of this period, and it was very chaotic in the band, they managed to deliver what might be their finest work. It's certainly arguable: the Airplane's first five albums are all amazing in their own way and you can easily find people who will champion each of them as the best Airplane album. 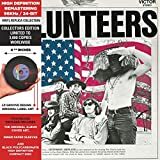 While "Volunteers" may lack the naive beauty of "Surrealistic Pillow" or the enjoyable insanity of "Baxters", it delivers some of their finest songs. Recorded in the spring of 1969 and feeling very much like a last gasp, the album is bookended by Kantner's anthemic observations on the counterculture, "We Can Be Together" and "Volunteers" (co-written by Marty) which are very much sister tracks. They are equal parts anger and lament, trying to marshal the kids to stick together while at the same time calling for revolt. (He claims the band was not political and only commenting on what it saw.) The first is particularly effective in capturing the turbulence of what youth felt like at the time. The contrast of joy and anger is represented, musically and vocally, brilliantly by the melody and Marty and Grace's vocal. Oh my what a start! Side one then heads for Marin county for an afternoon in the country with "Good Shephard" and "The Farm." It wraps up with one of those fantastic mind-bending Grace tracks called "Hey Fredrick" with poetic lyrics and a sensual feel. Grace says the song is about doing what thou wilt when someone is saying you can't or you shouldn't. Not surprisingly Grace raises her finger again to the naysayers. Kaukonen lays some very hearty leads over the middle section. Yet again it is Slick who provides the band's most creative material. "Turn My Life Down" was something of a quaint return to the sound of Surrealistic Pillow, the band coming full circle. The next track "Wooden Ships" is one of the best songs of the 60s, co-written by Stephen Stills, David Crosby, and Kantner. The Airplane version is far more powerful and dramatic than the earlier CSN version, which is more dreamy and laid back. Both are excellent. "Eskimo Blue Day" is another very strong tracks with superb arrangements, Grace is so powerful here belting out the vocal which deals with change in our lives. If they didn't know the classic line-up was splitting after this album then it was pure luck that had them sounding so dramatic and road wise. You can feel the "end of the road" throughout this album, lyrically and musically. Just before the climactic title track is a short instrumental interlude where Grace plays a theme song of the Soviet Army on organ. Crazy as it sounds it work perfectly. No matter how serious the world was getting this band was not going to forget to have fun. It's one reason they are remembered so fondly after so many decades. If someone wanted to get just one Airplane album I'd still push them toward Surrealistic Pillow or Baxters. But in reality all of their 60s albums are pretty much essential to a deep rock collection--a stunningly good run for an amazing American band. You can't go wrong with albums like "Volunteers." Dryden would be gone after this album, Balin next, and the Airplane would fold not long after. "All in all, a good time was had by all who attended." 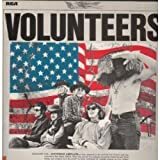 Post a review of JEFFERSON AIRPLANE "Volunteers"